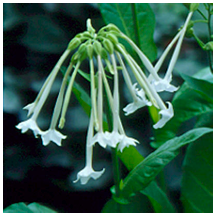 Flowering Tobacco is an annual that enjoys sun to partial shade. It can grow up to 36-48 in. the spacing of the flower is 15-18 in. its blooming times are Mid Summer, Late Summer, /Early Fall. 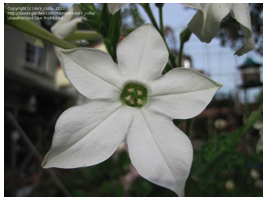 Blooms repeatedly and its blooming color is White. 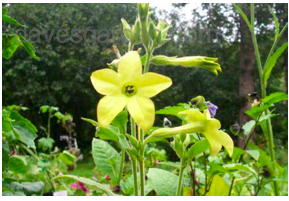 Nicotiana’s lovely tubular blooms attract hummingbirds with their colors and gardeners with their evening fragrance.